Here is the part 3 of the series, in this part I explain about the must have modules for Drupal 7 from ones included in core to some essential contrib modules. 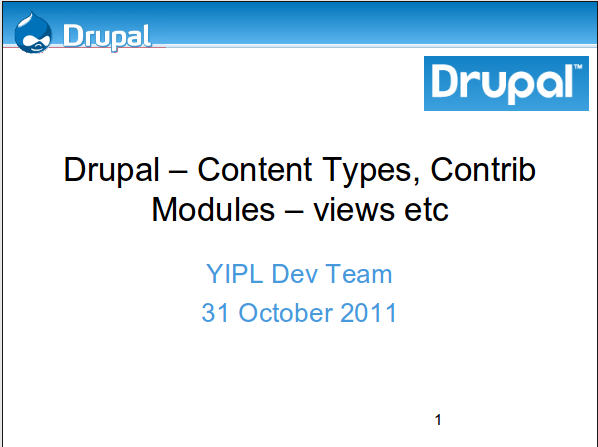 Then I elaborate on content types, how to create them and how many. There is a starter guide to building a recipe of a Brochure site but some content types are left for you to complete. Finally there is a basic introduction to views 3 without going into the full interface of views so as not to scare you. The intro to views is quite basic and other information is also targeted towards developers, so these slides may be a little difficult to grasp but practice makes perfect ;). 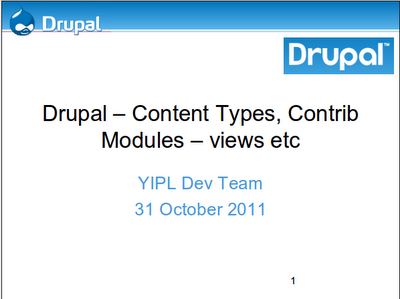 I hope it give you some idea on how a Drupal website is built.